In a news conference on Wednesday, leaders in the business community said that they would not stand for increased funding for education if it came with any rollback of accountability standards in Texas public schools. The Capitol news conference, held by the Texas Coalition for a Competitive Workforce and advertised as one that would "change the debate" over school accountability, comes as the standardized testing that is the backbone of the state accountability system is facing considerable backlash from parents, educators and lawmakers. The controversy has been connected less to the rigorous new STAAR exams — which students took for the first time this spring and were developed to be better aligned to curriculum — and more to the logistics of their implementation and new rules about the way the tests factor into grading and graduation requirements. The House Public Education Committee has held two hearings on the topic where lawmakers expressed support for doing away with the 15 percent rule. Educators also testified about their intense frustration with the costs associated with the exams. 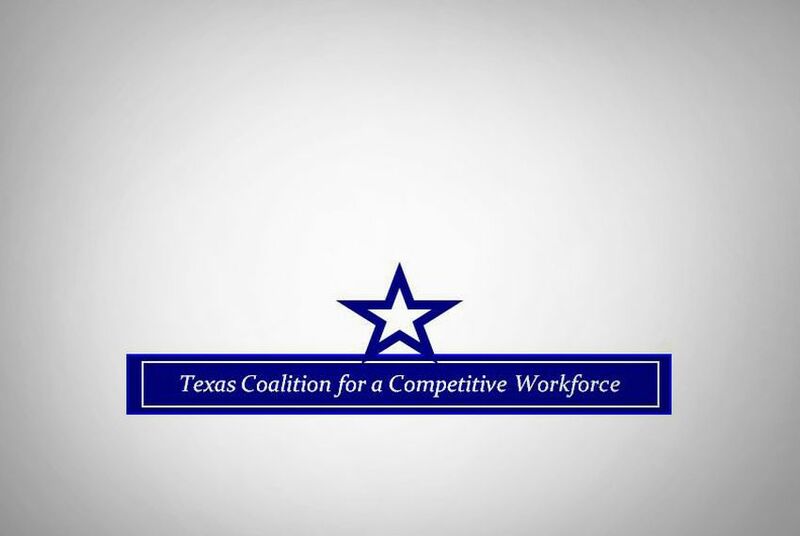 But Wednesday, members of the workforce coalition — which includes groups influential in the Legislature like the Texas Association of Business, Texas Institute for Education Reform, Texas Public Policy Foundation and the Texas Business Leadership Council (formerly the Governor's Business Council) — made clear they would not support any kind of tweaks to the system that was established by House Bill 3 in 2009. An attempt by outgoing House Public Education chairman Rob Eissler to do just that during the last legislative session failed with the opposition of the business community. “Before this landmark piece of legislation, HB3, is even fully implemented, we have people who want to roll it back and go back to fight the old wars about teaching to the test and all these other myths that are out there,” said Jim Windham, chairman of Texas Institute for Education Reform. They argued that the existing system is the only way to ensure taxpayers know their money is being well spent. “STAAR testing is an excellent step towards ensuring that the state’s education dollars are being directed into the classroom so that college- and workforce-ready students emerge from Texas public schools,” said James Golsan, an education policy analyst for the Texas Public Policy Foundation, a conservative think tank. The Wednesday announcement has drawn reaction from at least one of the grassroots organizations that has formed to oppose high stakes standardized tests. Texans Advocating for Meaningful Student Assessment, a group of parents and business owners across the state, released a statement taking "strong issue" with what they called the coalition's attempt to "hold hostage" support for additional funding for education. The group said the announcement did nothing to "change the debate," calling the coalition's assertion that it would "only a pipe dream of those who wish they did not have to answer to parents and legislators regarding the obvious flaws of the STAAR system." Dineen Majcher, an Austin attorney and public school parent, responded in particular to Hammond's remarks that school superintendents are "scaring moms" by saying their children won't be able to get into college. “As parents – including mothers – we take great offense at these remarks,” said Majcher, who is also a TAMSA member, “Does Mr. Hammond truly mean to suggest that parents, and in particular, ‘moms,’ cannot evaluate the quality of a school assessment system? Or that parents cannot judge for themselves how their child’s school is performing? After lawmakers cut $5.4 billion from public education funding in 2011, more than half of the school districts in Texas, representing roughly 3.5 million students — or 75 percent of the overall total — have signed on to sue the state. A key part of their argument is that the Legislature has failed to provide enough funding for them to adequately meet the accountability standards they have put in place. The Texas Association of Business has joined a separate lawsuit against the state related to school funding, one that asks the courts to determine whether the current system is “efficient” as required by the Texas Constitution.